The Garmin GPSMAP 66s is a handheld GPS device which is ideal for walking, hiking, biking and more. The GPSMAP 66s has a 3.0-inch colour screen and has a Multiple Global Navigation Satellite System (GNSS) connectivity. It comes preloaded with a worldwide shaded relief basemap. With this GPSMAP 66s you also get an altimeter and 3 axis compass. You can view the latest weather predictions using bluetooth connectiviity to a smartphone. The GPSMAP 66s device uses AA batteries for a battery life of up to 16 hours in GPS mode. You can add additional mapping to this GPSMAP 66s for recreational use, driving, use on water and more. It is also perfect for paperless geocaching as it will record location, terrain, difficulty, hints and descriptions. 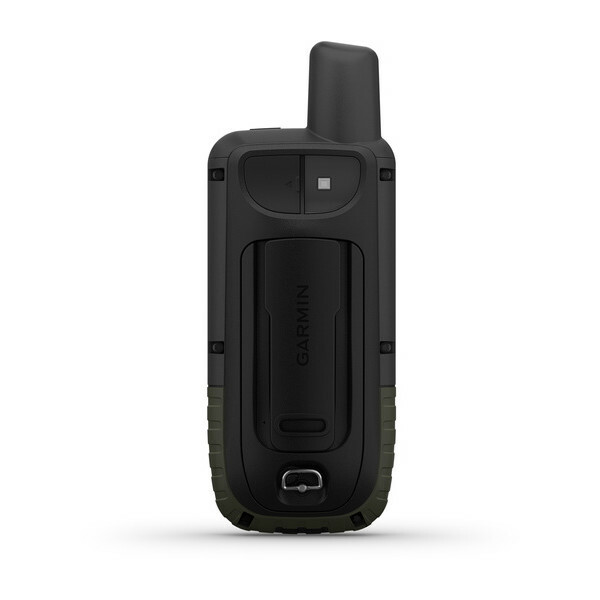 The Garmin GPSMAP 66s is a handheld GPS device which is built to military standards for thermal, shock and water performance. It has a 3-inch sunlight readable screen and Multiple Global Navigation Satellite System (GNSS) to track your journey in more challenging environments which is better than GPS alone. hiking, The GPSMAP 66s is suitable for mountain biking, climbing, goecaching, kayaking or working in outdoor environments. If you are looking for a handheld GPS with European Topographical mapping then please view the Garmin GPSMAP 66st. With the mapping your will see every hill and valley with terrain contours, topographic elevations, summits, parks, coastlines, rivers, lakes and geographical points. Altimeter provides elevation data to monitor ascent and descent information. 3-axis compass keeps you bearing wherever you are and barometric altimeter predicts weather changes by showing short-term trends in air pressure. Wireless connectivity for Active Weather provides up-to-date forecasts, animated weather radar, geocaching Live for mobile syncing and updates. Get the latest weather conditions when pairing via Bluetooth to a compatible smartphone. You will get access to Active Weather updates for real-time forecast information, predictive maps for temperature, wind, precipitation and clouds and view live weather radar to help when planning your outdoor adventures. There is a built in LED flashlight function. 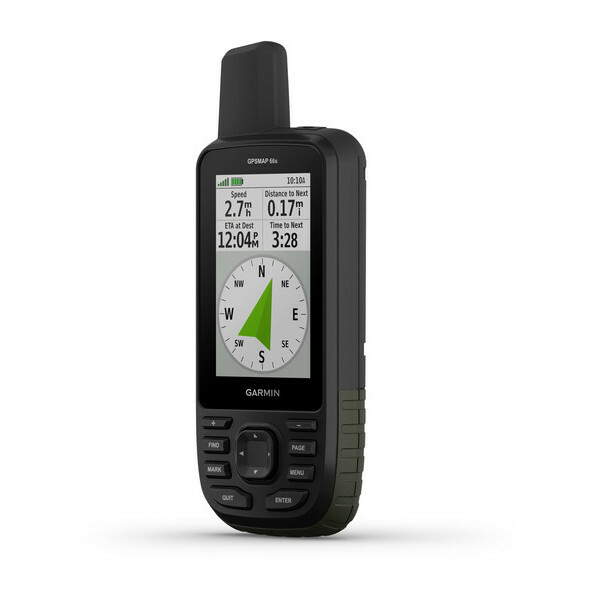 The GPSMAP 66s has a 16 hours battery life in GPS mode and a 1 week battery life in expedition mode. Battery power is supplied by two AA batteries. BirdsEye satellite imagery with direct-to-device downloads and no annual subscription to help you find your way. Improve your Geocaching experience where you can set the GPSMAP 66s to update with the latest caches from Geocaching Live including cache descriptions, logs, hints. Wi-Fi connection and through Garmin Connect you can avoid manually entering coordinates or printing out cache details on paper. Plus each find will automatically upload to your Geocaching.com profile. The Garmin GPSMAP 66s is built for extreme adventures. This Garmin handheld also includes SOS beacon that can be used to signal for help. You can add additional mapping to the GPSMAP 66s for use on the water (BlueCharts) and on the road (City Navigator series mapping). Do you have a question about the Garmin GPSMAP 66st or other handheld GPS related question that's not been answered on this webpage? Please see our handheld and Outdoor GPS FAQs page for questions from other customers.Plus if the answer to your question isn't featured, use the online form to ask us for the answer. Alternatively please telephone 01733 777623 Monday to Friday (9:30am-5:00pm) to speak to one of our sales team. For further information online please see the Garmin GPSMAP comparison table. Garmin GPSMAP 66s is preloaded with a worldwide basemap with shaded relief and topographic maps for Europe. Please note: Additional maps can be loaded to the GPSMAP 66s. 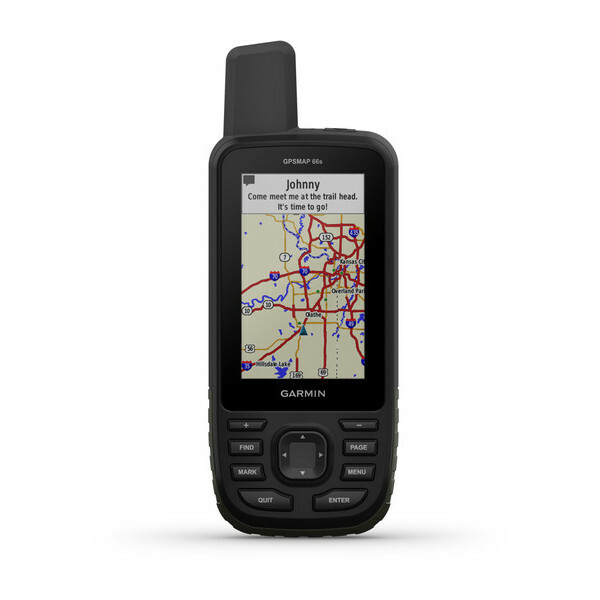 The GPSMAP 66s features a SD/microSD Card slot, an easy way to add new maps and mapping updates. 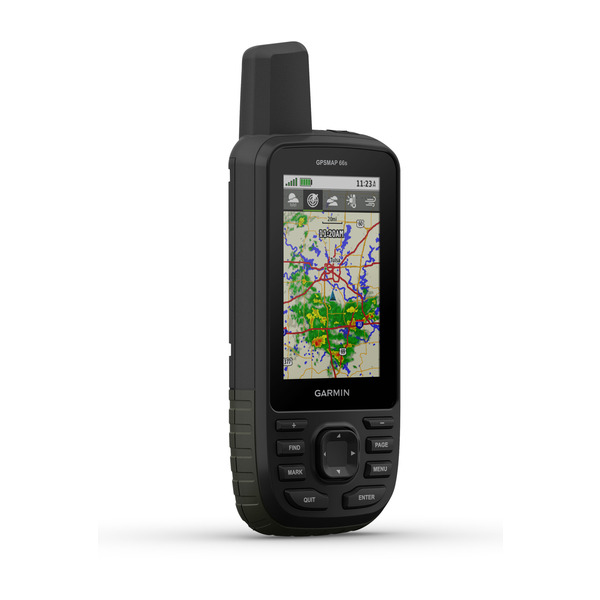 Looking for accessories to use with the Garmin GPSMAP 66st handheld device? We sell a vast selection of genuine parts and spares including GPSMAP 66st retractable lanyard, battery charger, bike/handlebar mount, Garmin Tempe and chirp Geocaching Beacon. Garmin GPSMAP 66st is preloaded with a Worldwide basemap with shaded relief. However, a number of other maps supplied on SD/microSD Card are also compatible including street-level road maps - perfect for cycling of using your GPSMAP 66st in a car, 1:50k and 1:25k Ordnance Survey maps - ideal for hiking and walking the countryside of Great Britain and marine BlueCharts - ideal if you want to navigate the waters around the UK, Europe or further afield. 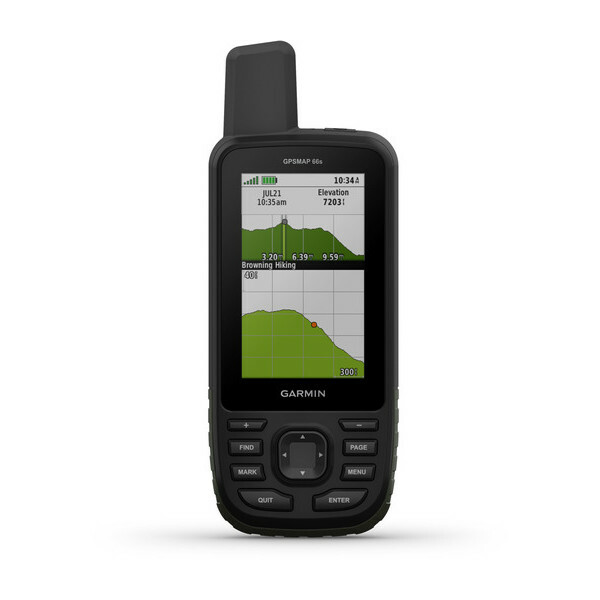 Do you have a question about the Garmin GPSMAP 66st? Submit your question via our contact page.